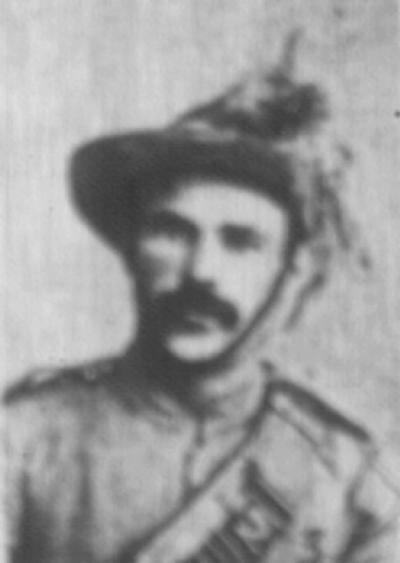 Born December 1872 at Rockhampton, Johnson enlisted in the 2nd Queensland Mounted Infantry Contingent during late November 1899. He listed himself as being single from Gracemere, Rockhampton. Johnson was 1.69m tall, weighed 59kg, had brown eyes and hair. The contingent embarked from Brisbane on the Maori King, 13 January 1900. Johnson served 422 days on active service with the contingent in South Africa. He returned to Brisbane on the Tongariro. After a final medical check up he was discharged on 3 May 1901 with a month's pay. Johnson's entry on the roll of Lieutenant-Colonel P. L. Murray, Official Records of the Australian Military Contingents to the War in South Africa, p. 459.